The federal government is purchasing another ship to be built in Halifax, the defence minister says a day after Ottawa awarded $7 billion in contracts to three shipyards for work on Royal Canadian Navy frigates — leaving concerns over an 18-month gap in work for Irving Shipyard employees. 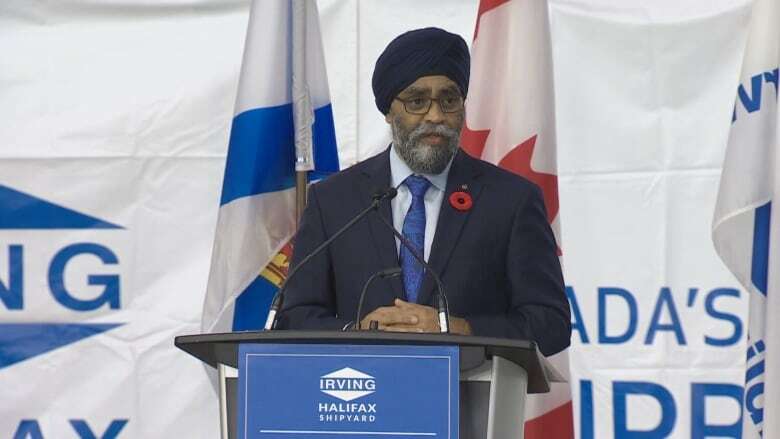 The government will buy a sixth Arctic and offshore patrol ship for the navy, Harjit Sajjan said to a crowd at the Irving Shipyard in Halifax on Friday. "The women and men of the Irving Shipyard build incredible ships and are essential for enabling the success of the Royal Canadian Navy," said Sajjan. The government planned to purchase five Arctic and offshore patrol ships — with a possibility of a sixth — after scaling back its original plan of buying between six and eight vessels in 2014. Public Services and Procurement Canada announced Thursday in a news release that it intends to sign contracts worth $7 billion with Davie in Lévis, Que., Irving Shipbuilding Inc. in Halifax and Seaspan Victoria Shipyards in Victoria for maintenance on 12 Canadian navy ships. With the maintenance program split between three yards, workers in Halifax feared they would be laid off in between the end of the patrol ships program and the start of the Canadian Surface Combatant program. 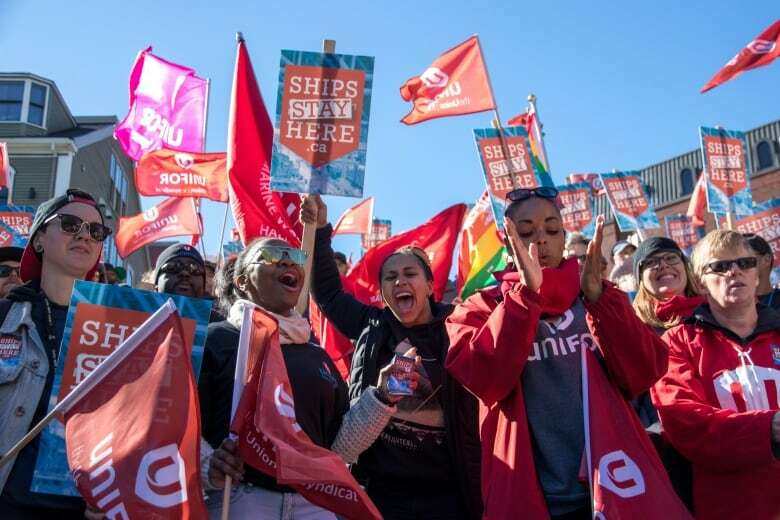 Last month, Irving employees held a march in Halifax to protest the Liberal government's intention to split the contracts with other yards, saying it would result in job losses. Friday's announcement appears to be aimed at allaying those fears. In a news release, the Department of National Defence said the sixth ship will help sustain hundreds of jobs at Irving shipyards. "Today's announcement is good news for the Royal Canadian Navy, but it is also good news for Canadians, our economy and the city of Halifax. This is a region with deep ties to our navy," said Sajjan. "By adding a sixth Arctic and offshore patrol ship, we are ensuring that our Royal Canadian Navy remains an agile and responsive force for years to come, so that Canada can continue to assert and enforce our Arctic sovereignty," he said. Irving officials had meetings in Ottawa on Thursday where they said they received the news. But building another ship doesn't mean there won't be layoffs, said Kevin McCoy, the president of Irving Shipbuilding. "Nothing is guaranteed until we have contracts in hand and I know hearing that might make some folks a little uneasy, but I am encouraged by our discussions yesterday particularly around Halifax class maintenance work. This is a big piece of solving about a three-year problem, but we now have about half the problem solved." Irving will begin construction on the fourth Arctic and offshore patrol vessel later this year.